WASHINGTON, DC, December 23, 2010 (ENS) – The U.S. Environmental Protection Agency today announced a two-year plan to set greenhouse gas emissions standards under the Clean Air Act for two sectors – power plants fired by fossil fuels and oil refineries. 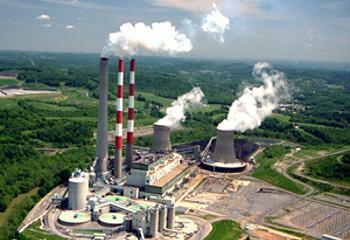 These sectors are two of the largest industrial sources, emitting nearly 40 percent of all U.S. greenhouse gases. This year, the Senate introduced but failed to approve legislation passed by the House in 2009 setting a cap on greenhouse gases and establishing a trading market for emissions permits. The EPA’s regulations will not set up a cap and trade program, Gina McCarthy, EPA assistant administrator for air and radiation, told reporters on a teleconference today. 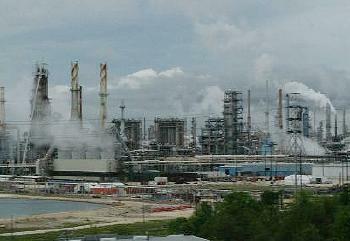 The standard-setting process for these two sectors is required by two separate legal settlements between the EPA and several states, local governments and environmental organizations that sued the Bush-era EPA for refusing to set limits on these industries’ emissions of greenhouse gases under the Clean Air Act. “We are following through on our commitment to proceed in a measured and careful way to reduce greenhouse gas pollution that threatens the health and welfare of Americans, and contributes to climate change,” said EPA Administrator Lisa Jackson. The Clean Air Act requires EPA to set industry-specific standards for new sources that emit significant quantities of harmful pollutants. These New Source Performance Standards set the level of pollution new facilities may emit and address air pollution from existing facilities. “These standards will help American companies attract private investment to the clean energy upgrades that make our companies more competitive and create good jobs here at home,” Jackson said. McCarthy said the agency is committed to issuing proposed regulations for power plants by July 26, 2011 and final regulations by May 26, 2012. That schedule is required by a legal settlement with the states of New York, California, Connecticut, Delaware, Maine, Massachusetts, New Mexico, Oregon, Rhode Island, Vermont, and Washington, the District of Columbia, and the City of New York; as well as the nonprofits Natural Resources Defense Council, Sierra Club, and Environmental Defense Fund. For refineries, EPA has entered into a separate legal settlement with the same states and local governments and the NRDC, the Sierra Club and Environmental Integrity Project that establishes a different schedule for regulations. These standards will be set later to give the agency a chance to conduct a risk and technology review of current air toxic standards for refineries. EPA must also resolve the issues raised in an August 25, 2008 petition for reconsideration of the refinery New Source Performance Standards. EPA would propose regulations to address all these issues by December 15, 2011 and finalize regulations by November 15, 2012. This schedule will allow the agency to host listening sessions with the business community, states and other stakeholders in early 2011, before the rulemaking process begins, as well as to solicit additional feedback during the routine notice and comment period. Feedback will lead to smart, cost-effective and protective standards that reflect the latest and best information, said McCarthy. Since the Clean Air Act was initiated, the EPA has put in place 75 performance standards for various industrial sectors, McCarthy said, adding that the Act allows flexible and innovative approaches that take into account cost, health and environmental impacts, and energy requirements. Every eight years, EPA must update these standards to reflect improvements in control technologies. States will be able to apply less stringent standards or longer compliance schedules if they demonstrate that following the federal guidelines is unreasonably cost-prohibitive or physically impossible. States may also impose more stringent standards or shorter compliance schedules. EPA will accept public comment on these two agreements for 30 days following publication of notice in the Federal Register.